It’s been another week full of sewing Christmas presents. 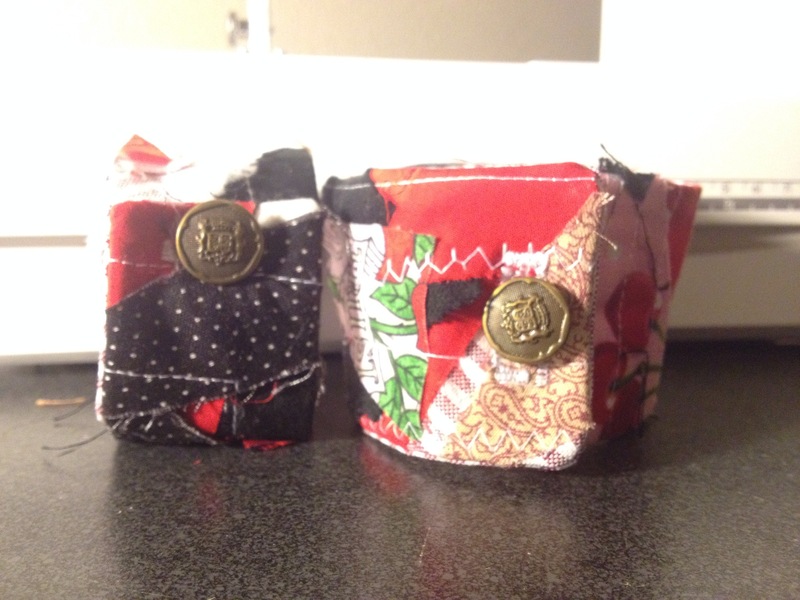 I’ve made American Girl Doll clothes, a purse, and some scrap fabric bracelets. There are no scraps too small if you have the patience and interest. 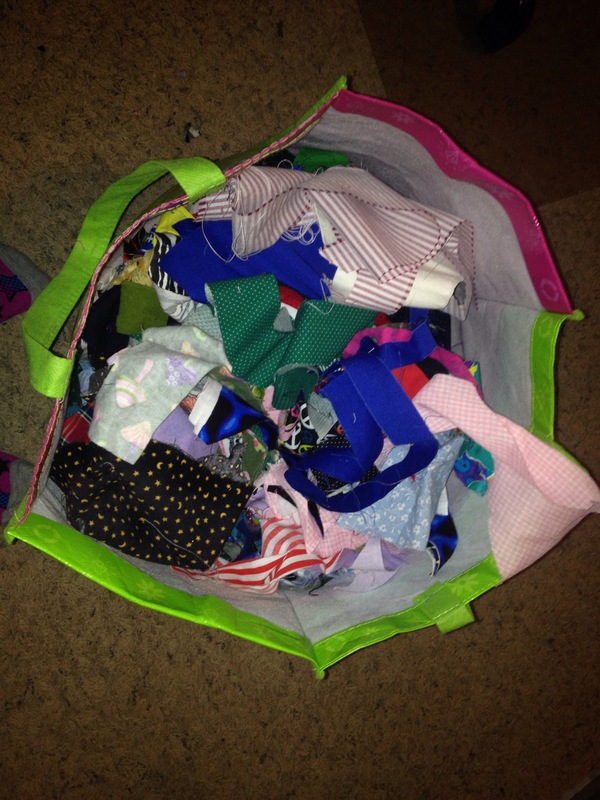 I have a bag full of scraps I’ve been saving up for years and I’ve made some awesome items with them. I’ve made most of my Sampler Quilt with them, scarves, and a super secret wall quilt that I will post after Christmas, and now these bracelets. It’s so easy, that your kiddos can help with it! • Bigger piece of fabric. A little longer than your projects length. 1. Lay out your base fabric. 2. Start laying down your bigger scraps. Cover most if not all of your base fabric. 3. Lay out your smaller scraps on top of these big pieces. 4. Once you are happy with your collage, spray sizing on it and gently iron, no rubbing, just press and lift. I use Sizing because that’s what I have and it works okay, I would prefer stabilizer. Or follow the instructions on your stabilizer package. 5. 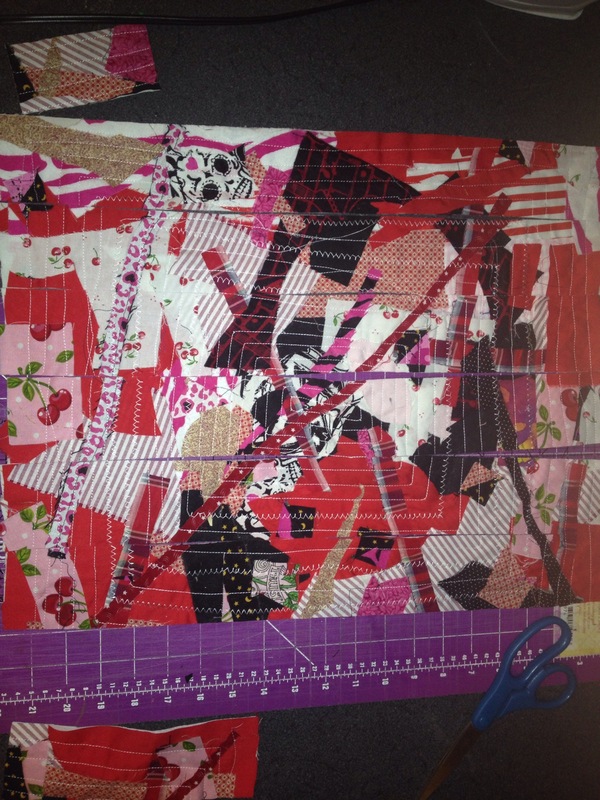 Set your ironing board next to your machine to help hold the collage level with your machine. 6. Sew a straight stitch or zigzag up and down and around the entire collage making sure all of the pieces are sewn to the base. My little helper held the sides while I sewed the pieces down in a square pattern. 7. Cut your collage in strips about 2.5″ or as desired for the width of the bracelet. 8. 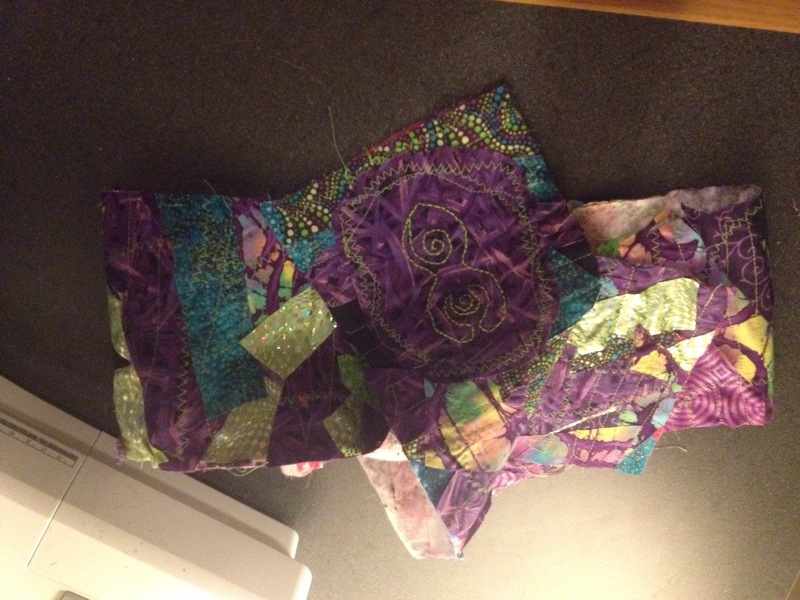 Cut strips of your backing fabric at the same width. 9. Cut the length of the fabric collage and backing an inch or more longer than the circumference of your wrist. 10. 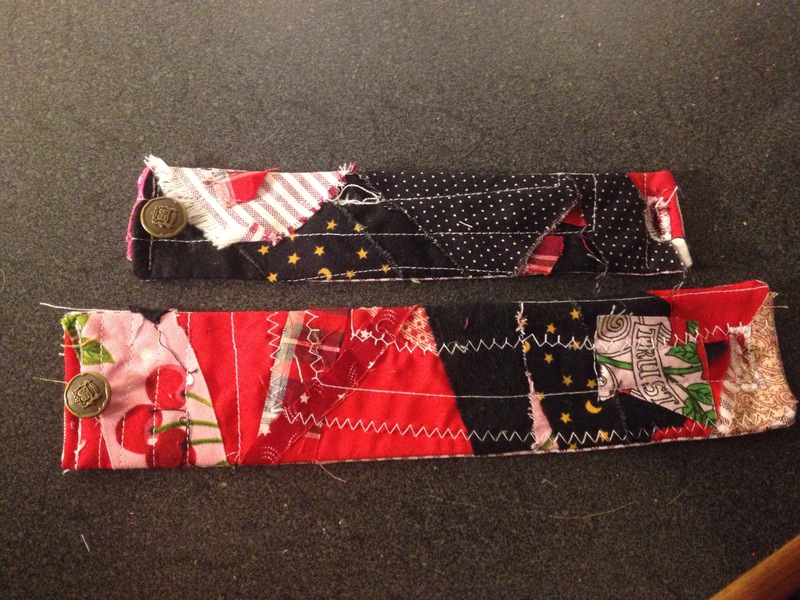 Sew the backing and collage strip together, right sides together, on all but one short side. 11. Turn right side out and press. Turn in the open edge and sew shut. 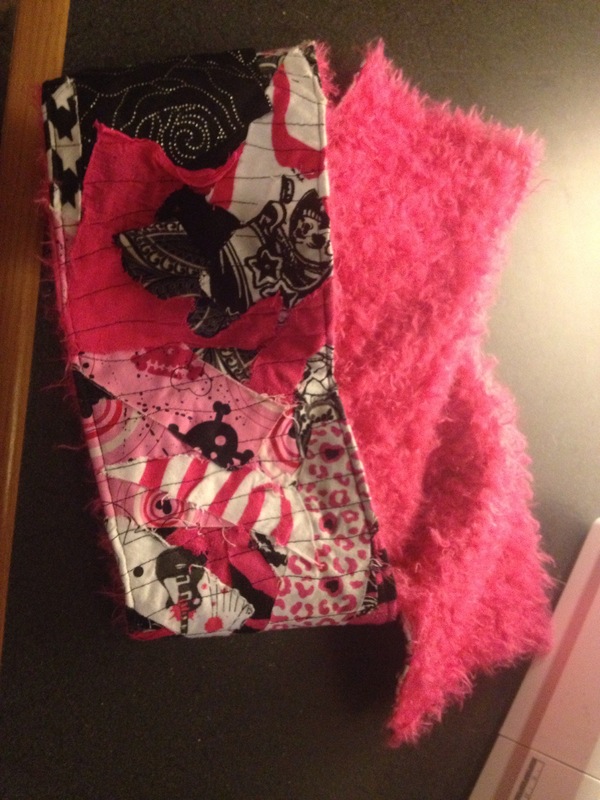 You can sew a top stitch around the edges if you please. 12. Sew the button on to one short side. 13. On the other short side, sew a button hole. I just set my machine to zero and zigzag stitched a rectangle. Seam rip open the hole. 14. 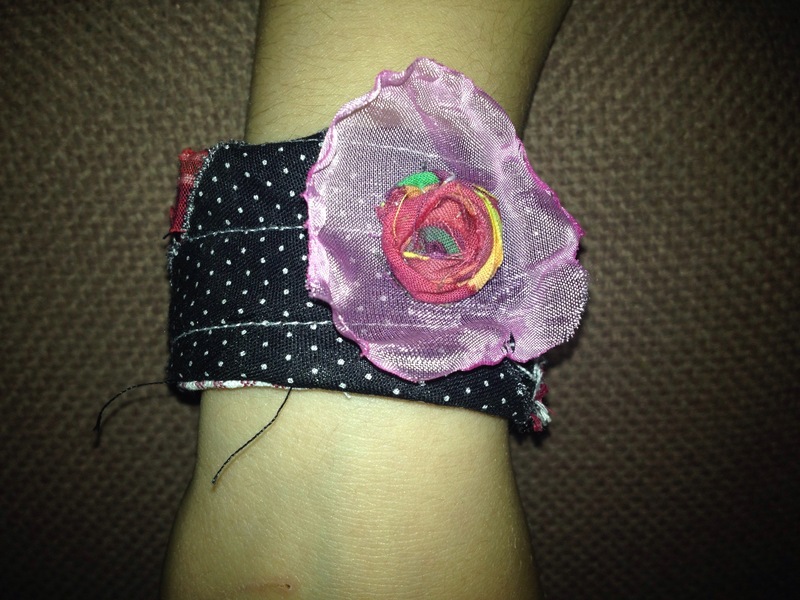 You can add fabric yoyos, flowers, beads, whatever you want! And a WIP for Christmas.